GABE HUDSON is the author of Dear Mr. President, a finalist for the PEN/Hemingway Award and winner of the Sue Kaufman Prize for First Fiction from the American Academy of Arts and Letters. Hudson was named one of Granta's 20 Best of Young American Novelists and was a recipient of the Hodder Fellowship from Princeton University, the John Hawkes Prize in Fiction from Brown University, and the Adele Steiner Burleson Award in Fiction from the University of Texas at Austin. His writing has appeared in The New Yorker, The New York Times Magazine, The Village Voice, McSweeney's, Black Book, and Granta. For many years, he was Editor-at-Large for McSweeney's. He lives in Brooklyn. 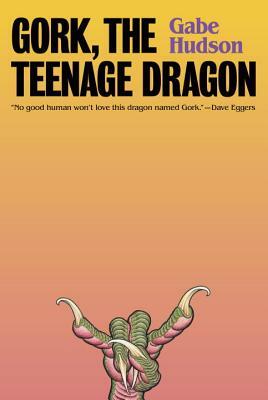 "Gork is the funny, wonderfully-written coming of age story about a dragon from another planet that is equal parts smart, silly, and sincere!"